Easy-to-use pedal thickens live vocals with realistic doubling emulations, octaves, and detune effects. 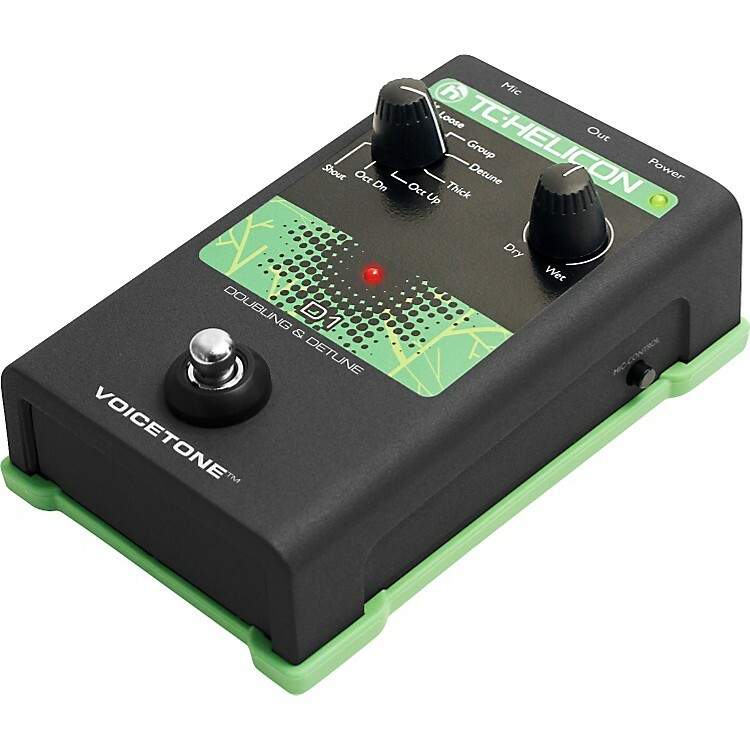 The doubling effect in VoiceTone D1 incorporates TC-Helicon's research into differentiating pitch-shifted voices from your lead voice to produce convincing group unison vocal effects. Single and multi-voice natural doubling styles are available including octave shifted variants, classic fixed detune effects and even a group shout for extra fun. Gaining access to the studio quality sounds and intelligent processing of the VoiceTone D1 is as simple as plugging in your mic and turning the effect on. Of course, you can always change the style or the amount of effect. Give your voice a new dimension. Order today.